Hello, Crystal here and today is my Jaded Blossom DT day! Thanks for stopping by today! I hope you enjoyed my project today. What a fabulous project!! Thank you for sharing. This is fantastic! 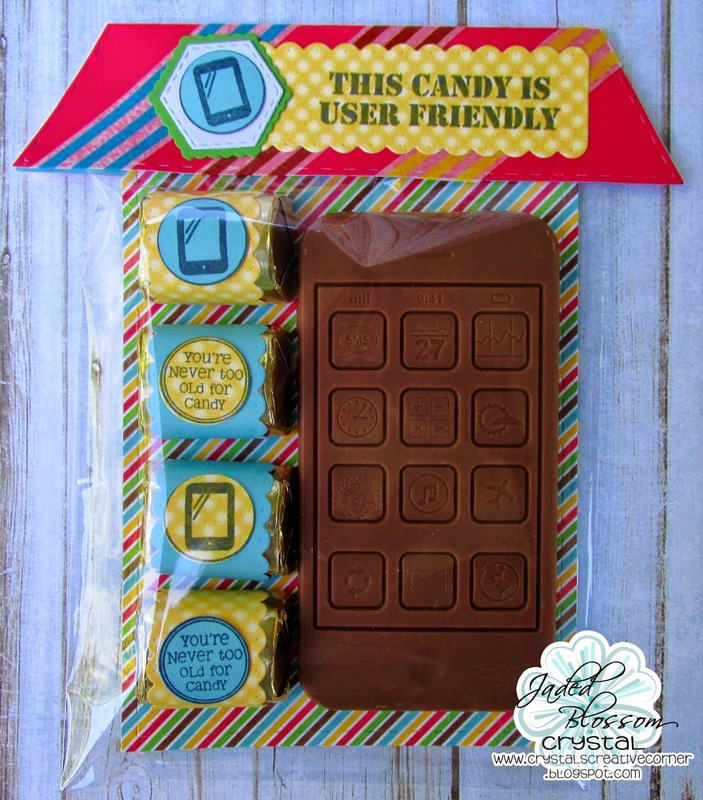 Love that chocolate I-Phone and how you used the dies so creatively! I love this! How did you make the chocolate cell phone?